the Lord, not for human masters, since you know that you will receive an inheritance from the Lord as a reward. It is the Lord Christ you are serving” (Colossians 3:23-24, NIV). 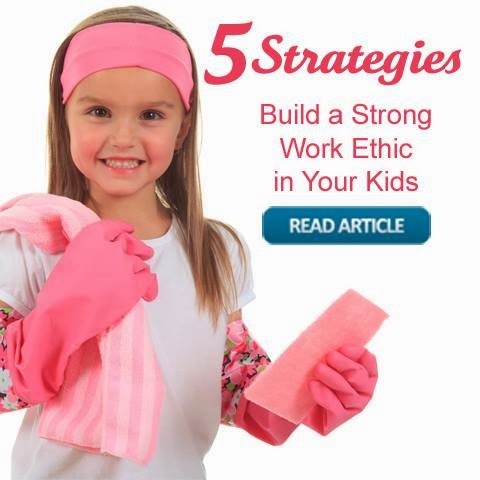 Children ask, “Why work so hard?“ Some kids question the value of hard work. Many adopt the attitude that work should be avoided as something quite unpleasant. Peers at school make fun of students who put forth their best efforts. They ridicule or trivialize exceptional performances. From the very beginning, God gave Adam a job—to cultivate the Garden (Genesis 2:15). God designed people to lead, create, and pursue tasks as we steward the earth (Genesis 1:28). This work is a gift from God and is meant to be a source of satisfaction and joy (Ecclesiastes 2:24-25). Daily pursuits such as building, inventing, and problem solving can all bring the Lord honor. We are “co-laborers” with Christ, working to bring about God’s purposes (John 4:34). The Lord supplies strength to do everything with excellence. God truly made us to work! Life in a kindergarten classroom includes crayons, interactive play, learning centers, and circle time. It also includes key routines to start the day—singing welcome songs and the all-important “assigning helpers.” One particular morning, Cheryl went through her list and assigned tasks to students: Taylor would read the weather, Kyle would lead the counting activity, and Carissa would help turn the pages for the story. When she almost forgot to assign the task of the snack helper, six little hands shot up to remind her. Cheryl chuckled to see the love of routine that this age group possesses. The kindergarten children teemed with energy as the day progressed. With each transition a student helper stepped in to play a part: Natalie walked by with her “five-minute warning,” Joshua and Alyssa helped with station cleanup, and Marco stood proudly at the door—ready to be the line leader. Cheryl observed that when a child moved into “helper” mode, facial expressions and body language clearly changed. A few students grumbled, but most performed their tasks proudly—whether their role was large or small. These responsibilities gave each child a sense of “belonging” and importance to contribute something valuable! This principle is true for all of us—our place in the world is vital. Offering to help, being part of a team, and contributing something useful are inherent needs of people of all ages. Look for opportunities for children to contribute. Invite them to play a part of God’s daily story. Several months after leading the children’s ministry, I noticed that one child began coming early with his mother because he loved helping set up the classroom. Jake was a very capable 6-year-old. Helping out was fun for him; coming early was his idea—and mom gladly accommodated. My heart broke to see his exuberance. Such a small thing to me meant the world to him! I promptly went to the craft table and had Jake help divide up the supplies for each student and set them at the table. Once that was done he asked for more jobs. As I racked my brain to come up with other tasks, I was truly touched by Jake’s joy and enthusiasm to help and contribute! Maintain a positive attitude about work. Help children view work as a divinely appointed task for God’s eternal glory (Revelation 14:13). Model work ethic (Proverbs 6:6-8, 13:4). As you take on projects, model for your children how to complete tasks well! Pursue excellence (Exodus 35:30-36:7, Ecclesiastes 9:10). God empowers believers to excel. Through God’s enabling strength, do your very best! Work with joy (Colossians 3:23-24). Undertake each task with a posture of worship—showing joy and thankfulness in doing your daily tasks—to God’s glory! Cultivate talents (Romans 12:3-8). Just as each child has a unique set of gifts to offer the Lord, he or she shows an interest in different subjects. Study what fascinates your child—and affirm those interests!